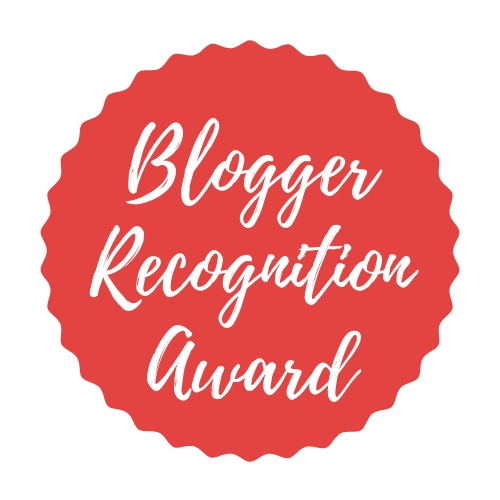 A couple of days ago, the lovely Jess Cantoni nominated me for the Blogger Recognition Award! Jess runs two blogs, the one linked above, and Jess Eats and Travels, so she’s one hard working woman and you should definitely check her out! Link back to the original post and the blogger who tagged you. Write a little about why you started blogging and your blog’s origins. Two pieces of advice you’d give to new bloggers. Choose (& tag!) 15 other bloggers for this award. I started my blog in 2015. Specifically, just after my eighteenth birthday in November 2015. At the time I was a couple of months into year twelve, my first year of sixth form, and a lot was happening around me that was, frankly, making me sad. I started this blog because writing has always been a stress reliever for me and something I’ve loved, but I was finding it hard to make time for it – so I figured if I made an upload schedule for a blog, I might. I also thought regularly writing would be the best way for me to improve my style & become more comfortable reading my own writing. Almost three years later and I have a small audience for my blog, but I’m comfortable with that – it’s very much my space and that’s all I wanted it to be! It’s definitely been through a variety of changes – themes, categories, content, upload frequency (this one does amuse me somewhat). But right now, I write about travel when I can, I write about the things that are close to my heart, and things I get up to. I’m currently uploading every Sunday (and a couple of Saturdays here and there too!). Two pieces of advice I’d give to new bloggers… Firstly, I’d say don’t be in it for the numbers. Whether your blog becomes a high-flying site with lots of sponsors or not, the important thing is that it’s what you make it! And whatever you make, if you’ve put the effort in, it should be something you can be proud of. Secondly, I’d say not to force it – if you know that all you’ll be uploading is a half-hearted blog post simply because you think you should be uploading, it would probably be more beneficial to take a step back and find your motivation again, and then upload when you’re happy with where you’re at. A great big thanks to Jess for nominating me! Happy October and I look forward to reading all your posts! I’m glad you have your corner here.